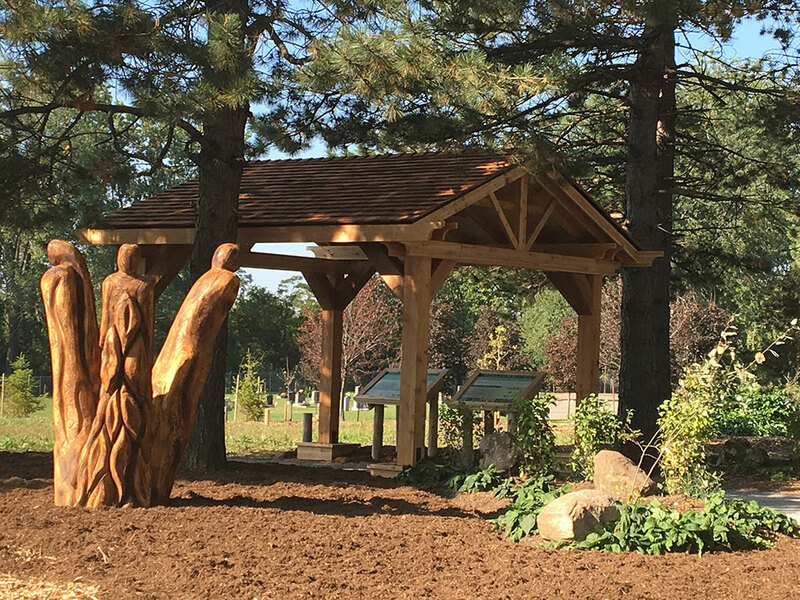 In September 2017, the City of Niagara Falls proudly unveiled Niagara's first green burial section named Willow's Rest, located at Fairview Cemetery in Niagara Falls. 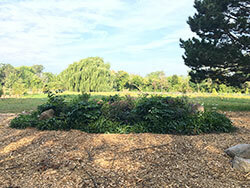 Beginning in 2016, the City of Niagara Falls Cemetery Services, with the initial support of the Park in the City Committee, initiated the early stages of development (i.e. grading and planting 75 native trees) of the Region's first Green Burial Section. 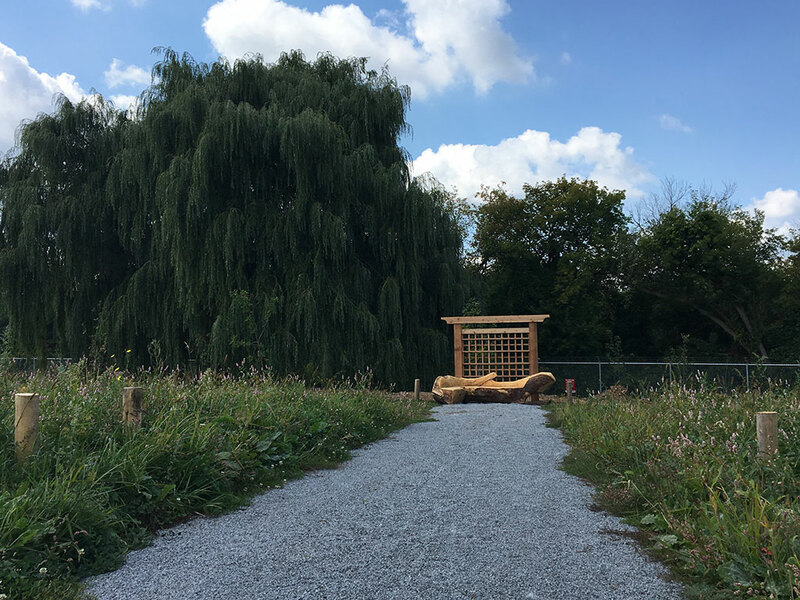 Shortly thereafter, Cemetery Services received additional support as interested partners invested in the initiative, including a $25,000 grant through CN's EcoConnexion and $40,000 from Land Care Niagara. Other sponsors, including Tree Canada, Sassafrass Farms, Yardmasters, the Green Burial Society and Frank Racioppo with Queenston Quarry also contributed to the project. 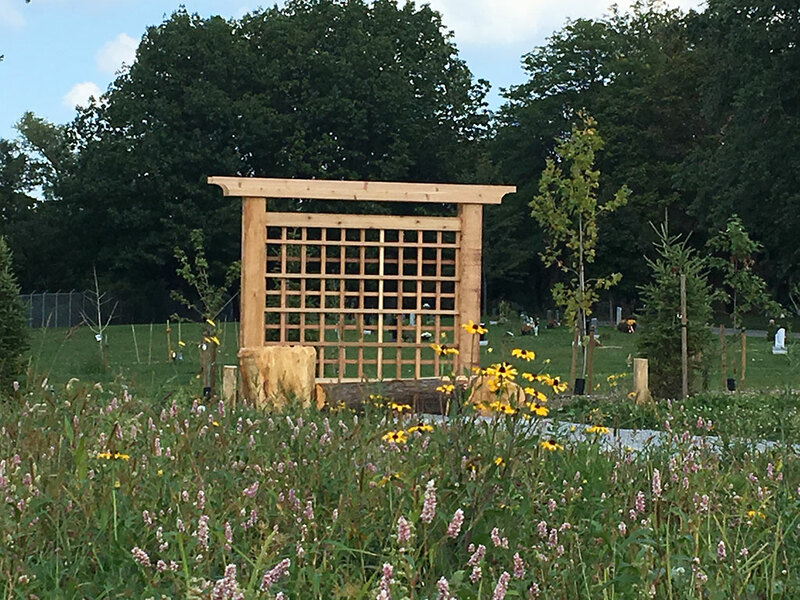 Willow's Rest is now a 2 acre naturalized location, with nearly two hundred new native trees which will ultimately create an enclosure for the beautiful wildflower meadow. Seven Monarch Butterfly Polinator Gardens can also be found within Willow's Rest. The largest sitting centre in the wildflower meadow, serving as the central memorial garden, as well as six gardens situated at the two primary entrances. Willow's Rest is now availabel to serve as Niagara's Green Burial Section. Green, or natural burials are a way of caring for our dead with minimal environmental impact that aids in the conservation of natural resources, reduction of carbon emissions, protection of worker health, and the restoration and/or preservation of habitat. Green burial necessitates the use of non-toxic and biodegradable materials, such as caskets, shrouds, and urns. No Embalming: A body is prepared for green burial without embalming. Decomposition is nature's way of recycling a body and green burial families regard embalming as a highly invasive, unnatural and unnecessary practice. Direct Earth Burial: The un-embalmed body is wrapped in a shroud made of natural, biodegradable fibres and buried directly in the grave. The shrouded remains can also be placed into a casket as long as this container is also fully biodegradable and constructed from sustainable materials. A grave liner or vault is not used in order to encourage natural decomposition. 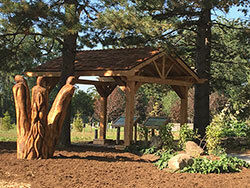 Communal Memorialization: Individual memorials are discouraged and are often prohibited in green burial grounds. 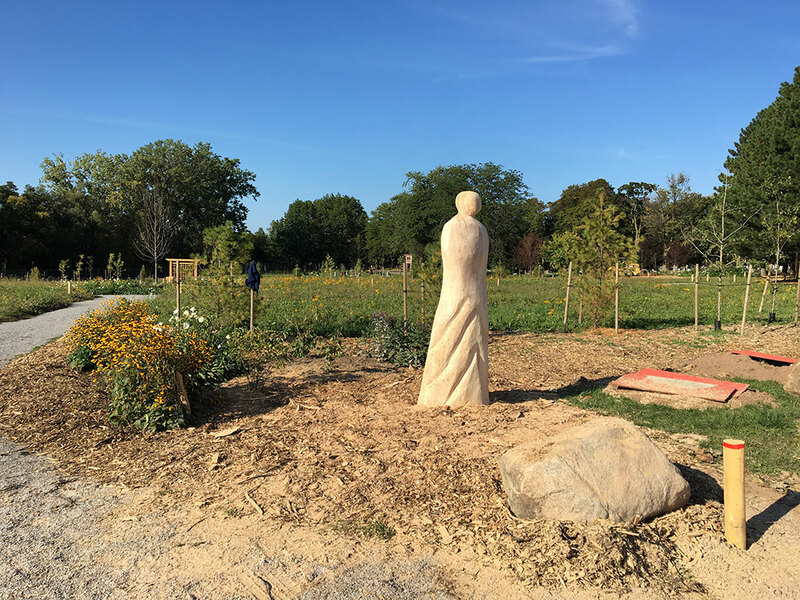 Instead, communal memorialization that utilizes naturally-sourced materials may be placed in a green burial area, with only simple inscriptions of the deceased. Ultimately, it is the green burial site as whole that becomes a living memorial to the persons interred there. 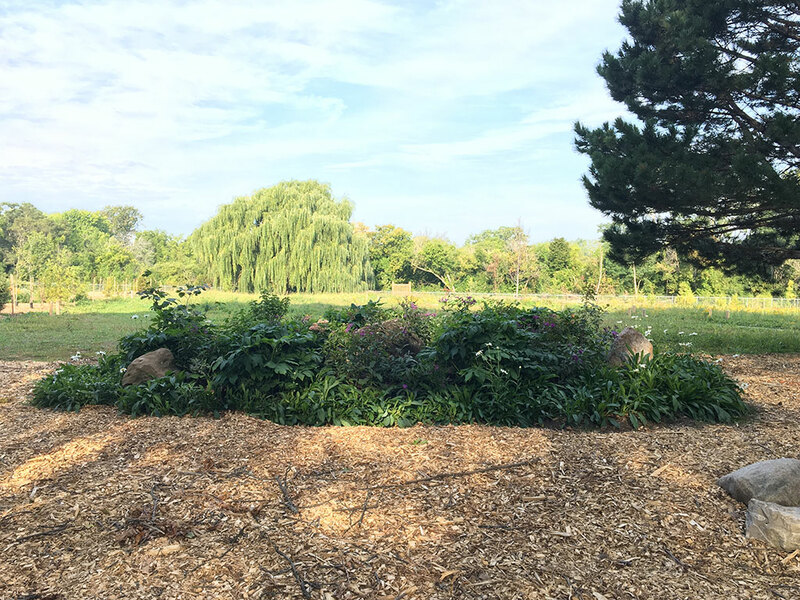 Ecological Restoration and Preservation: Once a green burial is complete and the grave has settled, it is planted with locally-indigenous plants, which may include trees and shrubs along with a groundcover to stabilize the grave. 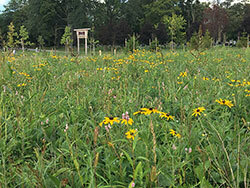 These plantings are typically conducted according to a pre-established plan that is designed to optimize the creation, enhancement and integration of the entire interment area into its ecological context. 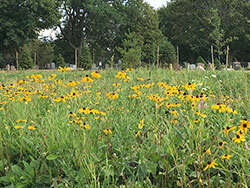 Finally, site preservation and perpetual protection are key components of green burial. 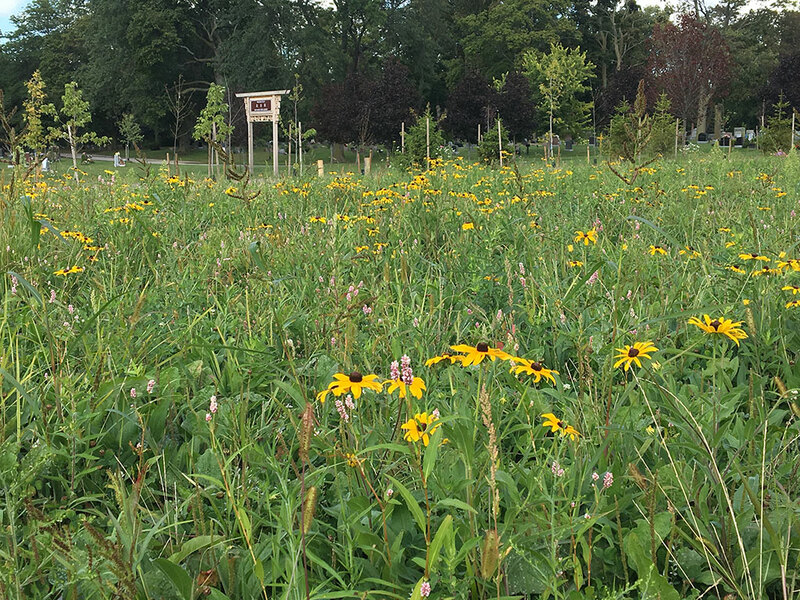 A combination of land covenants, protective easements, and other enforceable guarantees made by the green burial cemetery operator are put in place to ensure the site is never repurposed and the natural eco-system is allowed to flourish, with assured protection - in perpetuity. Optimized Land Use: A well-planned green burial cemetery (or cemetery section) will optimize the land it occupies. Design elements will include minimal infrastructure, temporary roads that can be removed and converted into interment lots, operationally pragmatic grave dimensions, and section lot plans that maximize interment capacity. 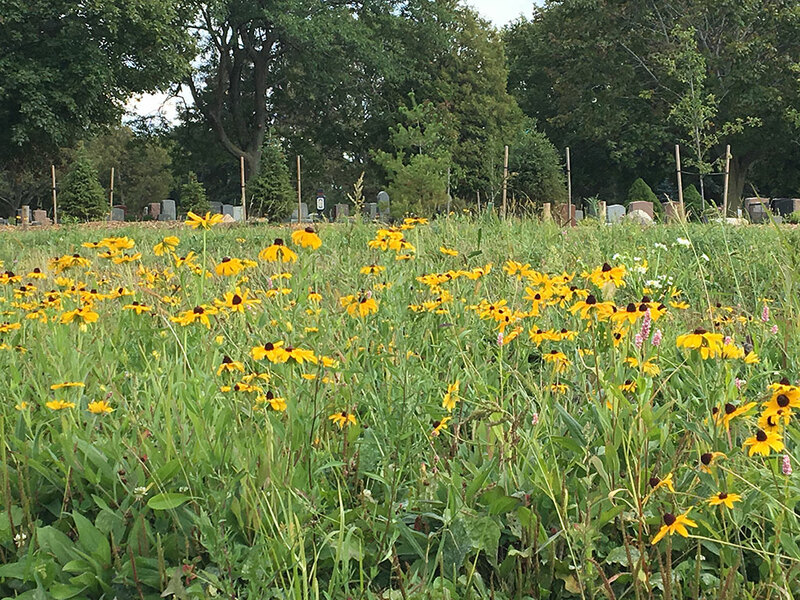 Residents, who are would like additional information, or are interested in purchasing a green burial plot can call the Fairview Cemetery at 905-354-4721 for pricing and location. Tours of Willow's Rest by Mark Richardson are also available by appointment.